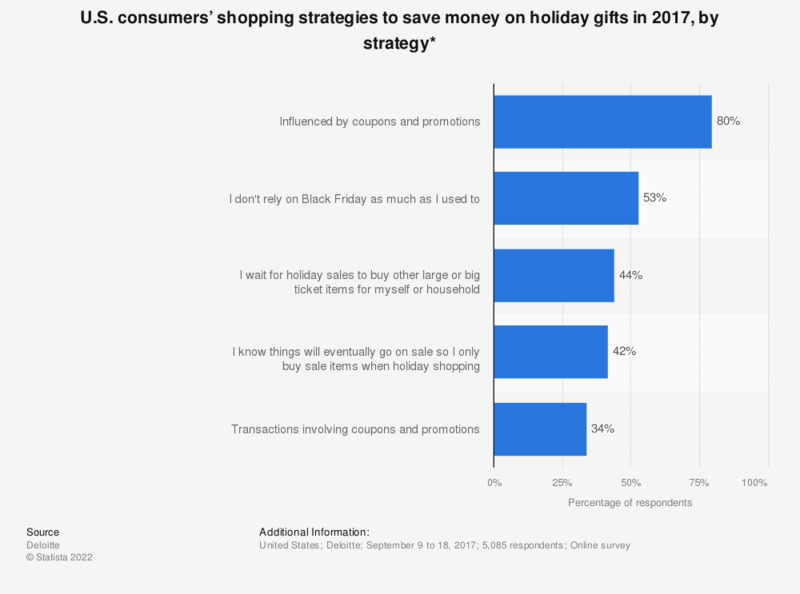 This statistic shows U.S. consumers’ shopping strategies to save money on holiday gifts in 2017, by strategy. According to the source, 80 percent of respondents stated that they were influence by coupons and promotions. You personally, are you shocked by the bare breasts on the beaches? Teenagers: Where do you get your money? Regarding what products do you find sales interesting in general?